You may think of yourself as a person of reason and logic. You admire everything that makes sense and has a clear meaning attached to it. You prefer not to experiment if you don’t have to. You are really comfortable in your comfort zone, and you don’t intend on leaving it anytime soon. By all means, you are a person of habit, you enjoy the every-day routine of yours, you are used to doing things the same way over and over again, and that’s what makes you feel fine. Okay, we hear you on this one. We can understand this feeling of staying secure which is hidden behind the fear of the unknown. We know, this kind of fear is something that every human being around the world experience the same way. But hey, wait a minute! Stop right there and just think for a second. What if you got out of that comfort zone? What if you made an experiment with your life? What if you dared to dream? And we mean dreaming big! What if you started exploring the world around you through the unknown paths? What if you saw the unseen? What if you experienced something new? Now, what do you say about that? Don’t be scared. We are here to guide you. 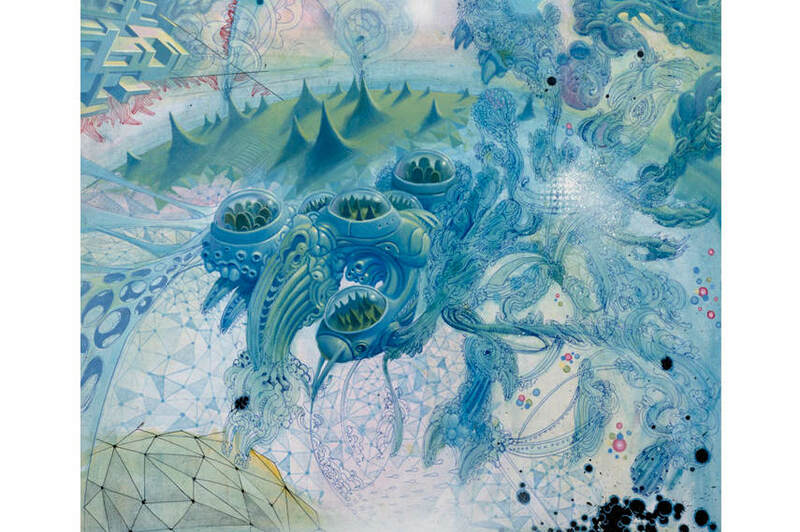 And we are about to present you some of the most inspiring psychedelic artists out there. They are certainly not afraid to try, to explore, to learn, to seek and find, to unveil hidden thoughts, to reveal mysteries, to pursue their dreams (literally), to imagine the unimaginable, and to create fantastic worlds of their own. They’ve all done that actually. They make art which is different, bold, creative, inspiring, and truly psychedelic. It is mind-blowing, it goes beyond the imagination, and it will definitely play with your mind. But beware! It might alter your taste of common sense. So, take a deep breath, prepare yourself and let the play begin. If you wish to learn more about the beginnings and alternative forms of psychedelic art, pay attention to our editor’s recommendation. From the 1960s to the present day, psychedelic aesthetic has cemented its influence in many different forms of artistic expression; from advertising and fashion to music and film. And yet neither the true scope of psychedelic art nor its key practitioners have ever been the subject of a thorough overview. Electrical Banana is the first definitive examination of the international language of psychedelia, focusing on the most important practitioners in their respective fields. Compiling hundreds of unseen images plus exclusive interviews and essays, it revises and expands the common perception of psychedelic art, revealing it to be more innovative, compelling and revolutionary than is usually acknowledged. 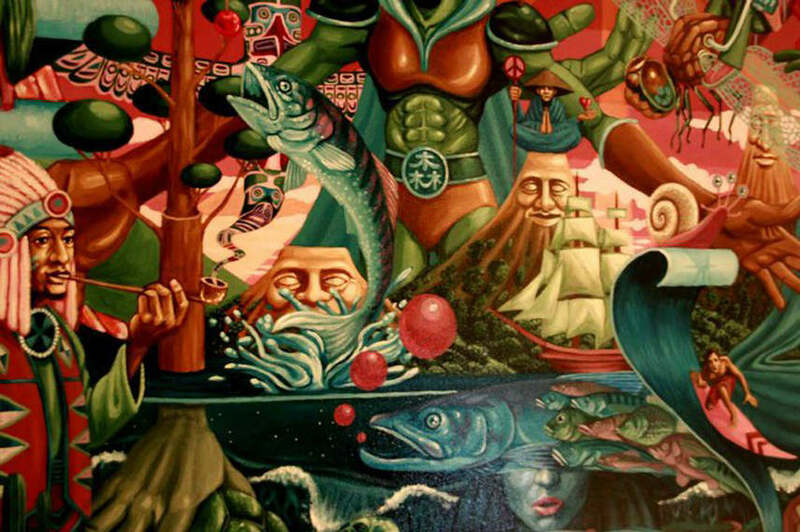 Mario Martinez, a.k.a MARS-1, paints from deep within his self-awareness. 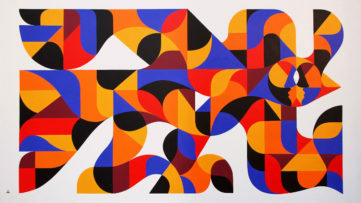 His paintings are full of colorful geometric forms, carefully shaped patterns, and unique textures. Altogether they create recognizable imaginative compositions made out of surreal cloudy shapes from outer space, quasi-extraterrestrial landscapes, transparent blisters, spherical objects, infinite fractures. Twisted reality it is. 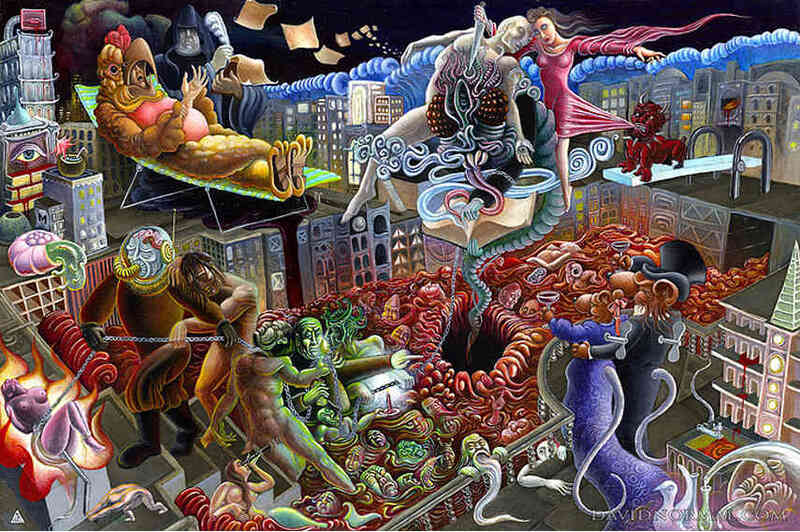 Martinez is making an abstract form of psy-art which features delusional imagery viewed from a perspective that you never even knew existed. Nothing seems to be ‘normal’ when it comes to David Normal’s artwork. In his early career days, while still a teenager, David began making artistic posters for a punk band. Afterwards, he turned to theater and party production, and then came an interest in 3D animation work and film production. 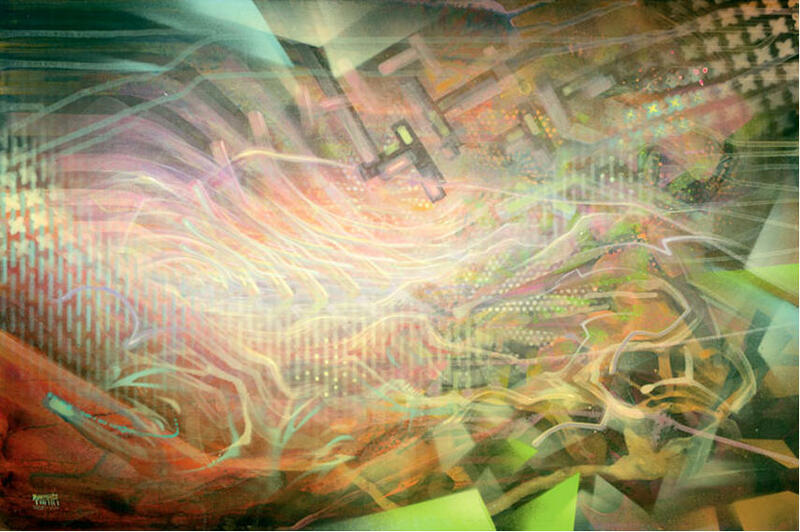 Each of the fields that he entered, David altered with his psychedelic visionary creations. Nowadays, David Normal is experimenting with oil on canvas, where he is also expressing his deep interest in psychedelia and psychedelic culture. 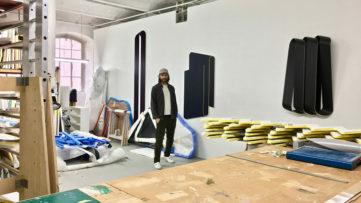 His large-scale paintings are depicting mixed expressions of spirituality, sexuality, urbanism, and religion. They are rich in detail and extremely powerful in their inner meaning. 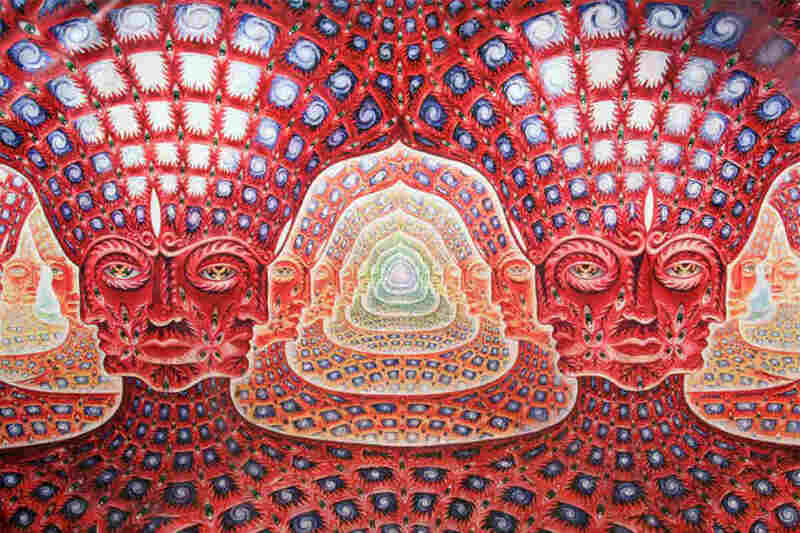 As a true psy-art legend, Alex Grey is one of the most popular psychedelic artists in the world. 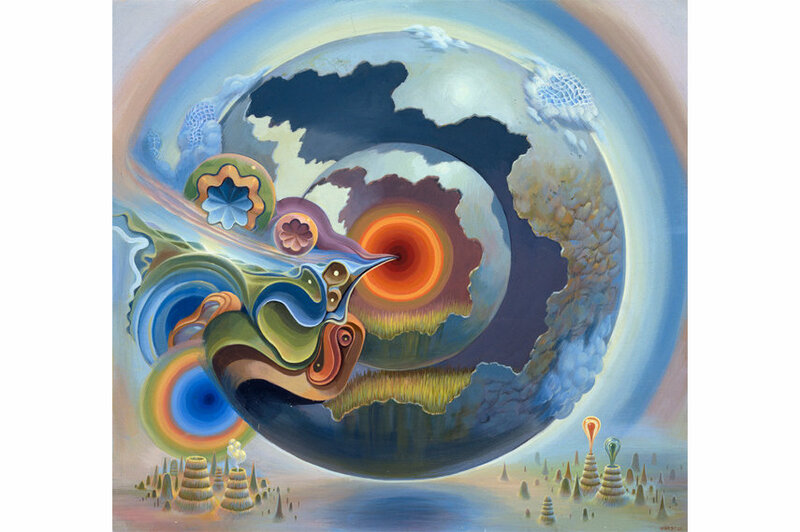 Grey’s art shows vivid, colorful, divinely illuminated complex set of psychedelic experience that he profoundly expresses through paintings. He truly is among rear ones who have an ability to go beyond this world and successfully depict the cosmic reflection of their soul. He is famous for his portraits of humans with an anatomical expressiveness. It took decades of training to master the technique and make those portraits true visionary masterpieces. 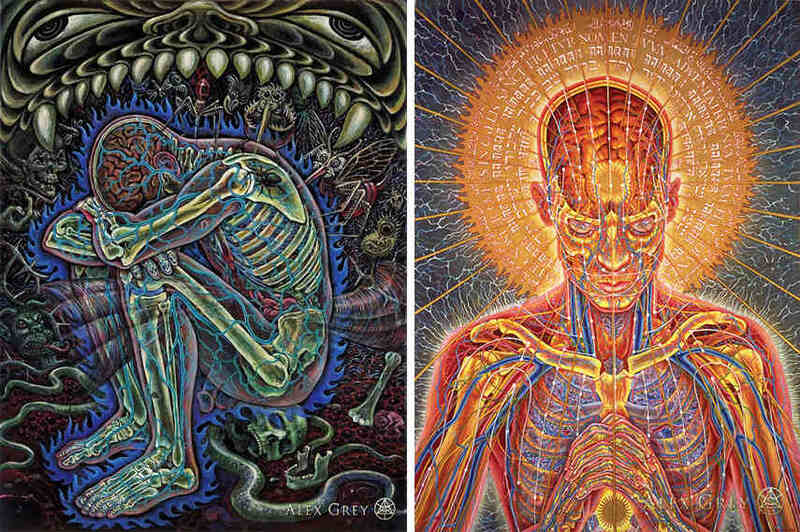 Alex Grey is the author of the Sacred Mirrors (1991), one of the most successful art books of the 1990s, which includes all of his most influential works. Following that one, his next book Transfigurations have also become a huge success. 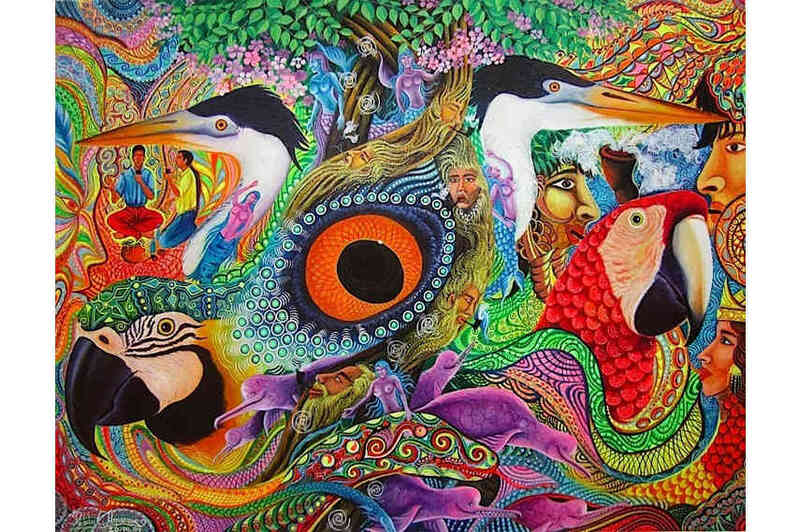 Pablo Amaringo (1938-2009) was an acclaimed Peruvian artist, renowned for the colorful images of his visions from drinking the hallucinogen plant brew Ayahuasca. Amaringo was introduced to the Western society by Dennis McKenna and Luis Eduardo Luna, who met him in Pucallpa in 1985 while traveling during the work on a Peruvian ethnobotanical project. At that time, Pablo had been working for many years as a vegetalista, a practitioner in shaman mestizo tradition of healing. When they met Amaringo, he was living in poverty, while trying to sell the strange paintings to tourists. 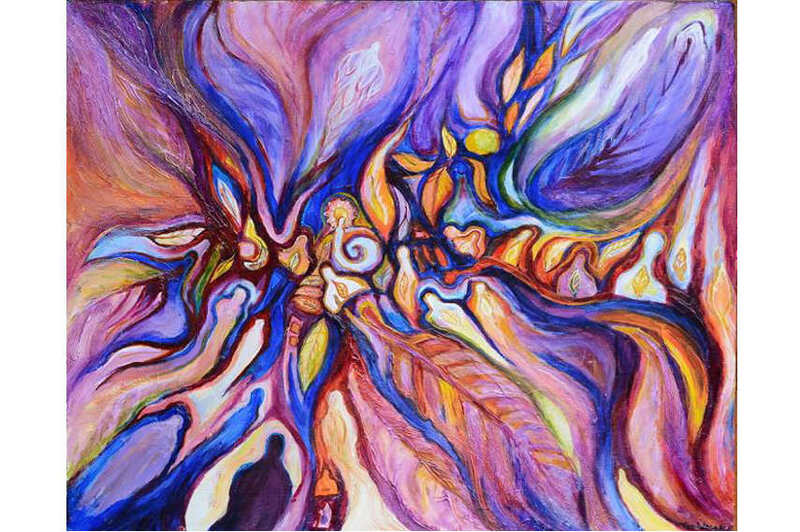 Luna suggested him to paint some of his hallucionational visions, which later became the baseline for the co-authored book Ayahuasca Visions: The Religious Iconography of a Peruvian Shaman. 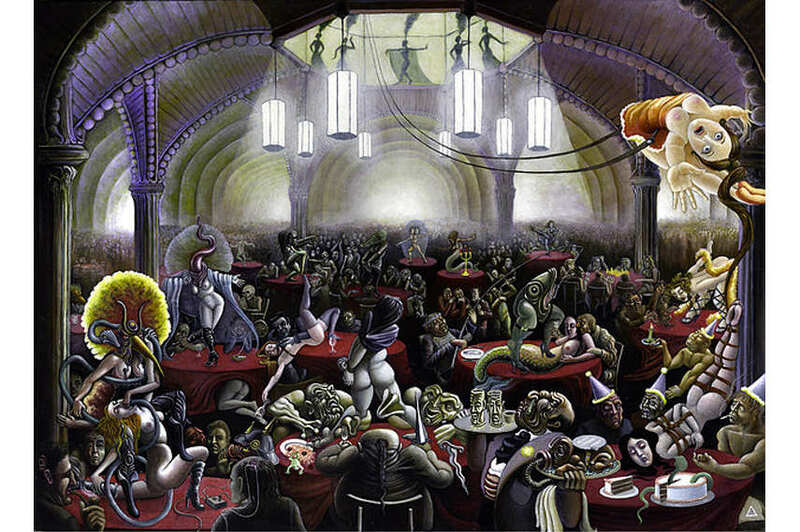 The same painting made Pablo one of the most influential psychedelic artists of the 20th century. His images are vivid and detailed, completely immersed in the flora and fauna imagery, and mystical, phantasmagorical creatures. Usually, he depicted imaginary spirits of the good and the bad plants, strange visitors from parallel worlds, and ancient keepers of the whole civilization’s knowledge. 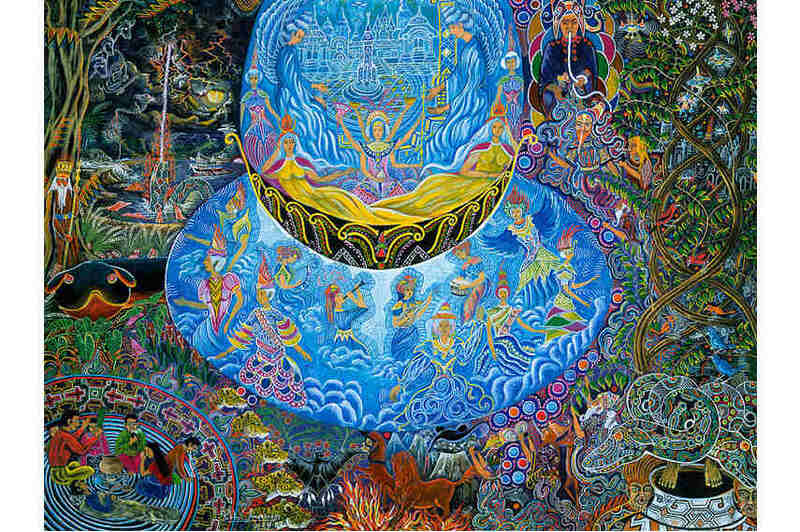 Up to his death in 2009, Pablo Amaringo painted, helped run the Usko-Ayar school of painting, and supervised Ayahuasca retreats in Peru. Hana Alisa Omer believes that the visions are windows into the future and that one can see through them only from a clear background of the past. She has the privilege to see through these windows, as she states herself. And all those images seen out there, she is transferring to her paintings. 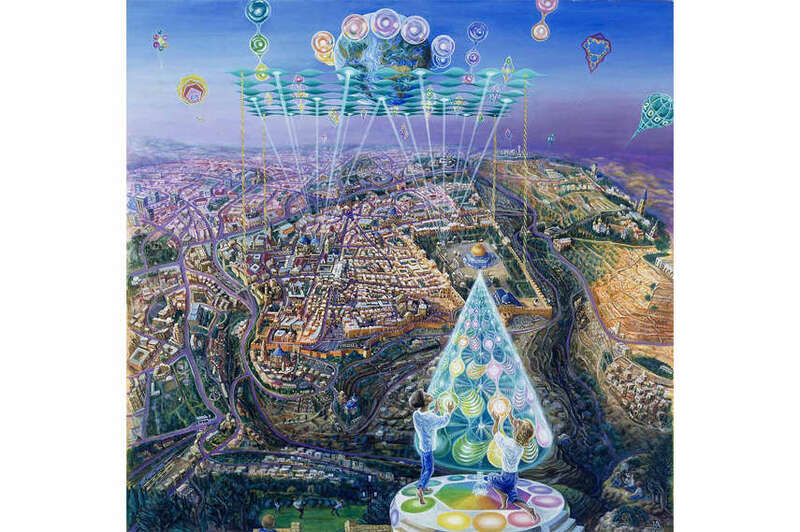 Her visionary art is often placing Jerusalem in the center. 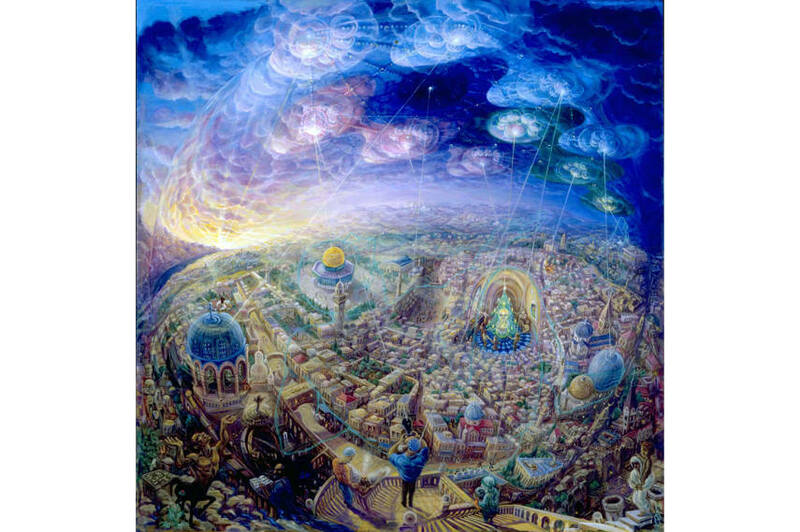 Her painting series Heavenly & Earthly Jerusalem, for example, had been inspired by Dr. Y. Hayutman, and it visualizes the old quest of humankind for peace, unity and redemption. 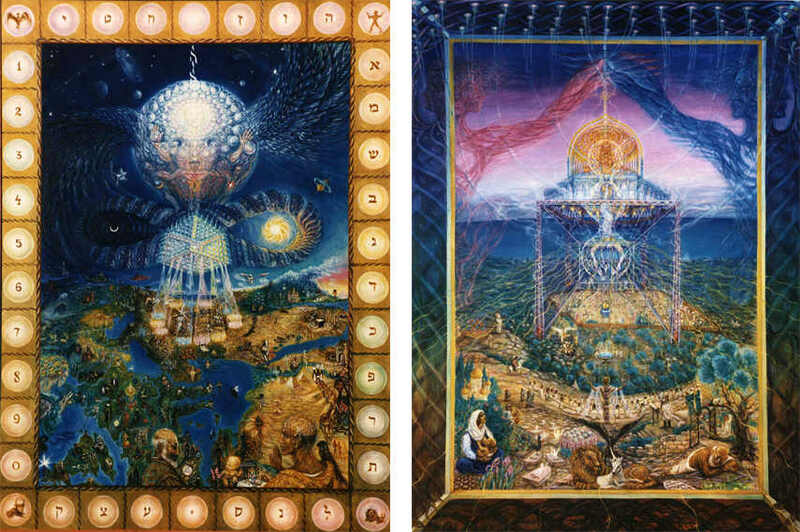 As the artist describes it, these are expressed through the archetypal symbolism of ‘Heavenly Jerusalem’ and the ‘Temple’. 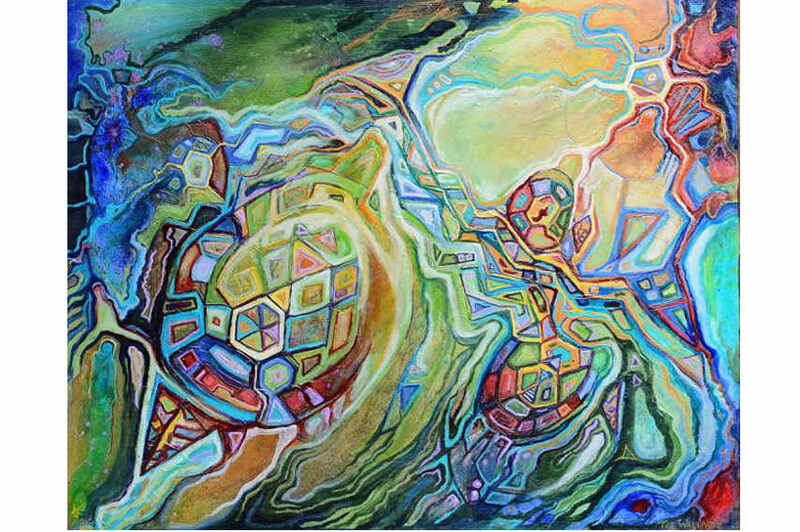 Hana Alisa Omer had envisioned Jerusalem in four manifestations, according to a specific symbolism of the art of sacred geometry. She reveals the true message behind these paintings, and it refers to the diversity of the three religions that turn to Jerusalem as their spiritual cradle of life. Ted Wallace is fascinated with the ability to stand still and just listen to the world around him and the world within. He calls that a deep listening, an experience which starts from meditation and takes him beyond imaginable. For him, meditation is an act of receiving, a state of mind cleared from thoughts, which takes him to a deeper level of consciousness. He listens from the inside, and the internal sound is giving him the new kind of a meaning to the outside scenery. For Ted Wallace, everything starts from listening. It connects people, families, friends, even politicians could learn something from it. It is a ground zero for feelings, empathy and compassion. Deep listening is the beginning of his art as well. It gives him inspiration, energy, clear visions, and the power of life to pursue his artistic creations. 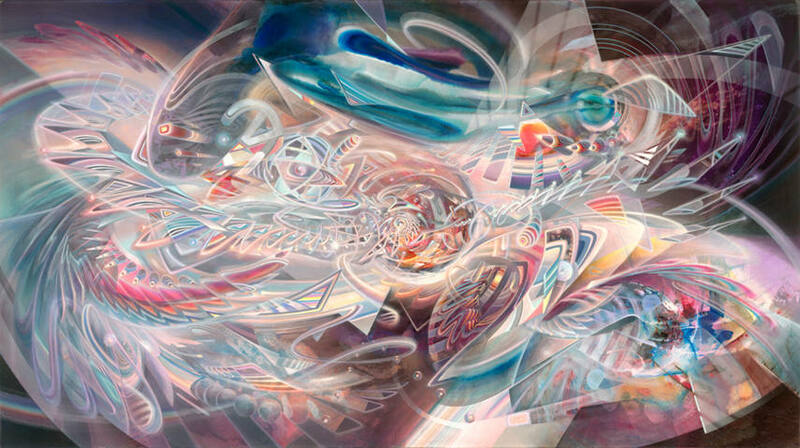 His art is a reflection of his meditative experience within himself. 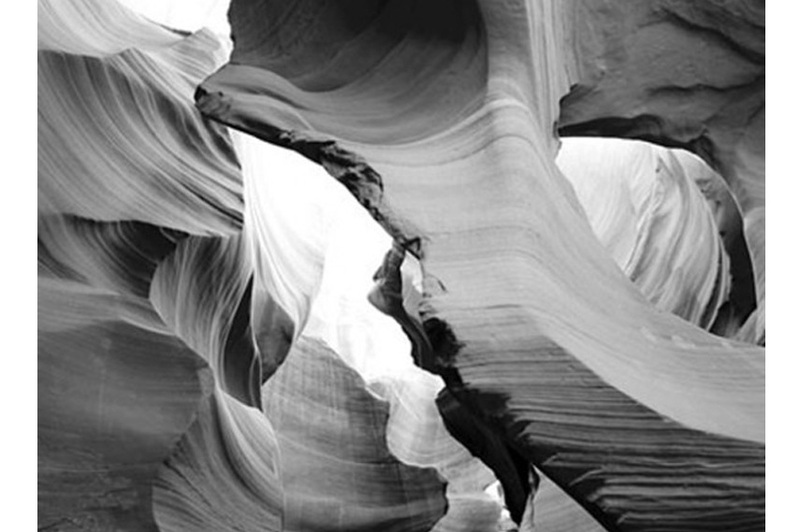 The main source of inspiration for German artist Dennis Konstantin Bax is the beauty of nature. As the rapid technological progress and the development of quantum physics extend the boundaries of reality, Konstantin believes that the mankind is on the verge of the discovery of a new form of reality that will turn our world upside down. As the artist states himself, one of the quotations from Salvador Dali is what keeps him think that way. “I foresee what will be the new style of painting, what I call the quantumized realism”, said Dali once. So, this new form of expression Dennis Konstantin calls Quantum Realism. 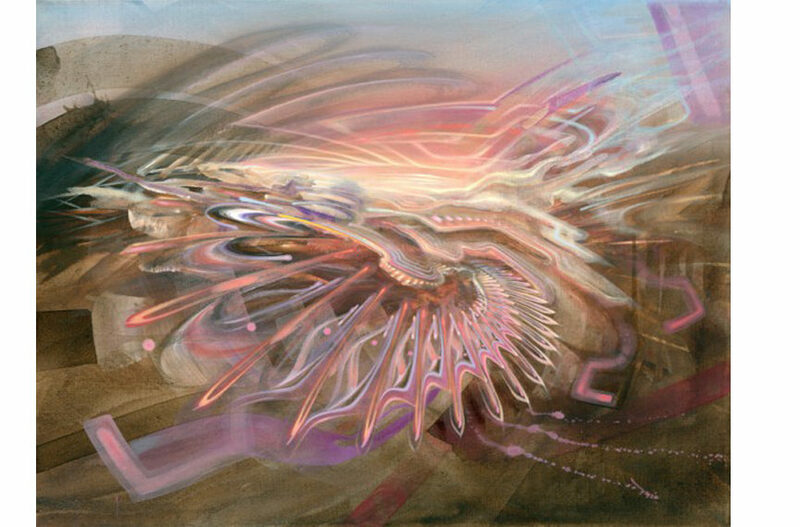 He believes that it has the power to unify the inner structure of things with a fantasy world of visionary art. He doesn’t want to simply copy the experience he lives through. Instead, he is trying to show the continuum of nature itself. 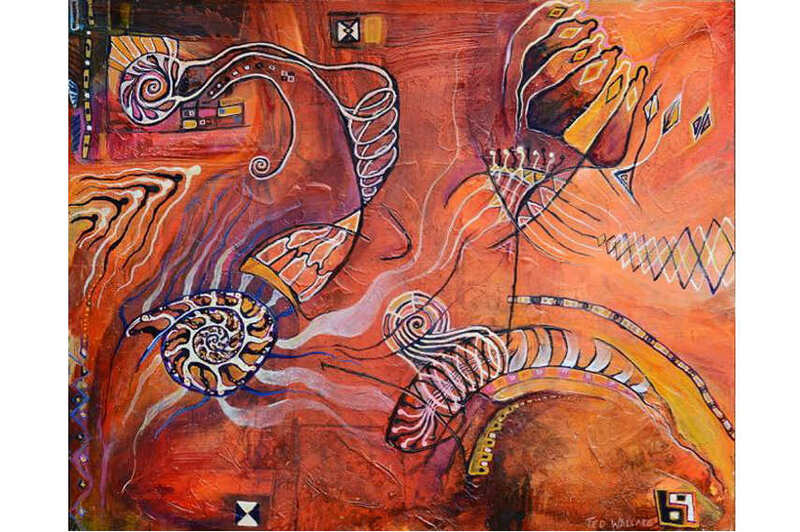 Constant change and a metamorphosis of shapes are what inspire him to make art. To him, the universe is nothing but a vibration of matter, which recreate the definition of an abstract thought. 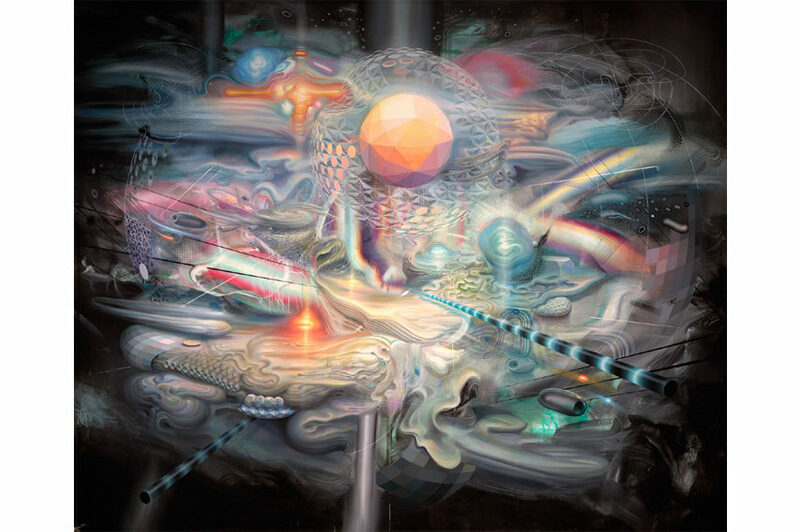 With great interest in the quantum mechanics and eastern philosophy, Dennis Konstantin is creating images that bridge the scientific approach and the stories within his art.